We are so thrilled to have Jennie with Earthy Scrap guesting for us today. She is spotlighting two of our newest colors, Watermelon Taffy and Pink Limeade. our lime green that was introduced with our Halloween colors. 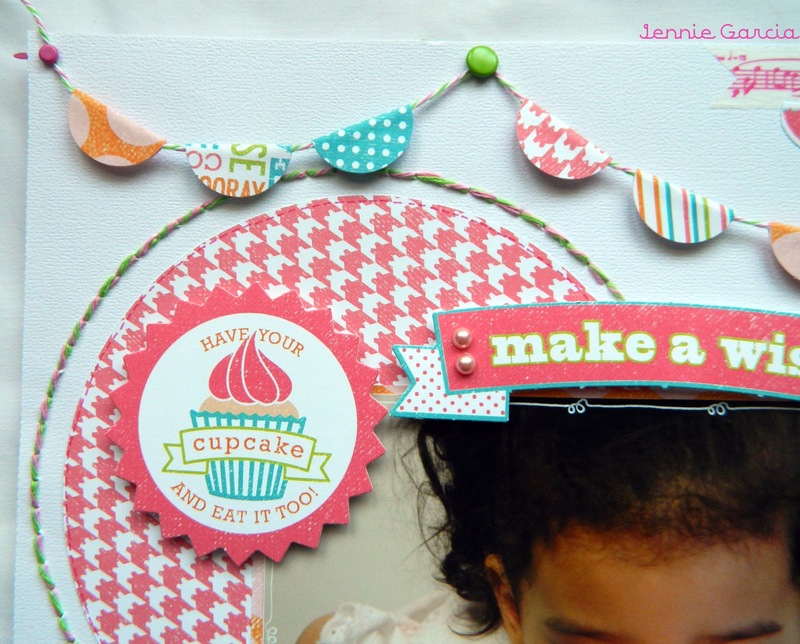 I love how Jennie used the twine to embellish her beautiful layout. and that sweet picture puts a smile on your face. Thank you so much, Jennie, for being our guest today. share their creativity with Trendy Twine. 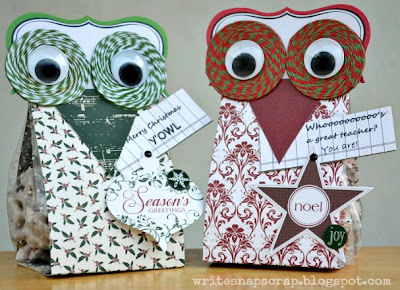 Hi, it's Izzy Anderson from Write, Snap, Scrap here on the Trendy Twine blog today with some owl treat bags. These are one of my favorite things to make. They're easy, don’t require fancy tools and are always a hit with recipients. I used these as holiday gifts for teachers and staff, but the sentiment can be changed to fit any occasion. You can find the treat bag tutorial on my blog. To make the owl's eyes, I punched two large circles from cardstock, covered them with adhesive, then added twine and googly eyes. 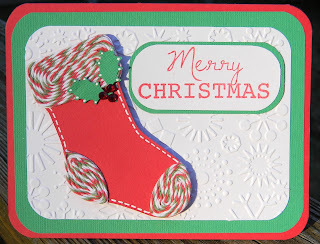 I used Trendy Twine in Holly (green) and Holly Berry (green/red mix). You have just a few more days to join our monthly challenge. It's easy to play and there's a great prize up for grabs! You can find all the details on this post. 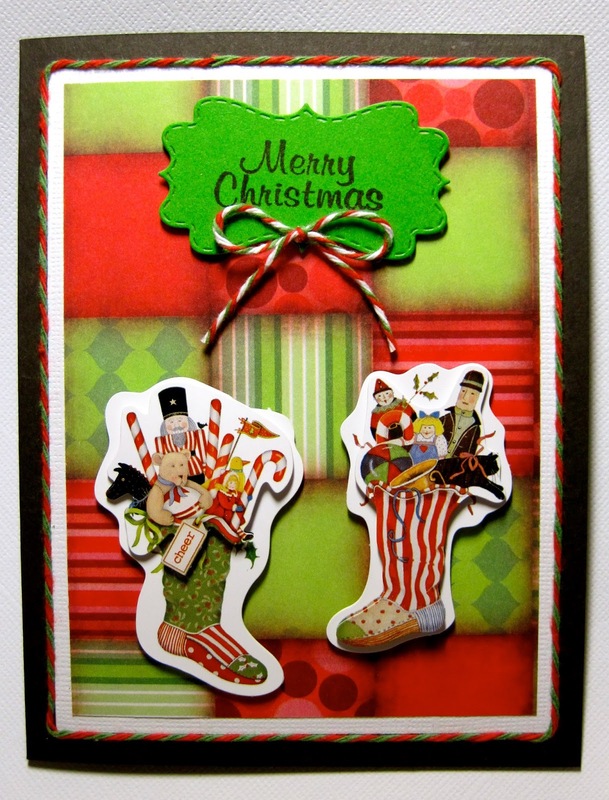 Holly Berry and Candy Cane. They are currently on sale for a few more days. I hope all of these put a smile on your face. Be sure to stop back by on New Year's Day. We will be announcing the Design Team for next term. It's Jamie here to share a new project with you. 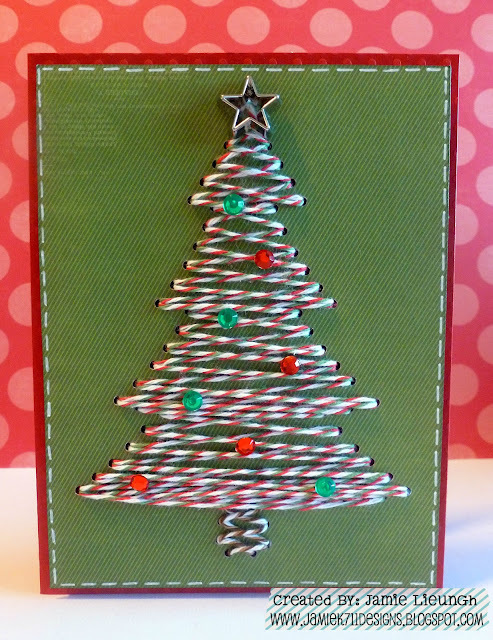 I used Candy Cane twine for the tree and some Chocolate Truffle for the trunk. 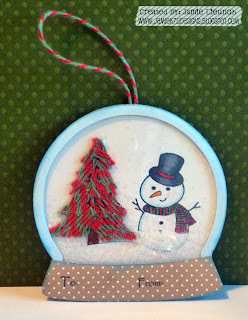 To make the tree I used the rhinestone feature on my Silhouette Studio, then put the twine through the holes at a diagonal. Then I just added a few rhinestones and a star to bling it up! 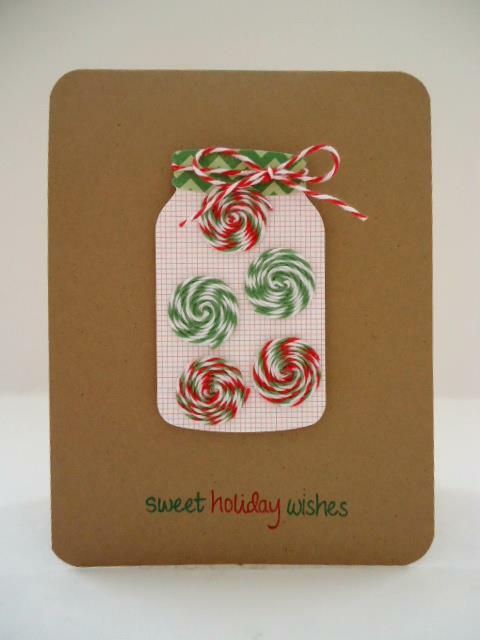 You can get Candy Cane and Holly Berry on sale now here. It's Ruthie, from SeptemberNinth Designs. I was so exited when Lesley asked me to be today's guest designer. I have a fun shaped card for you today. 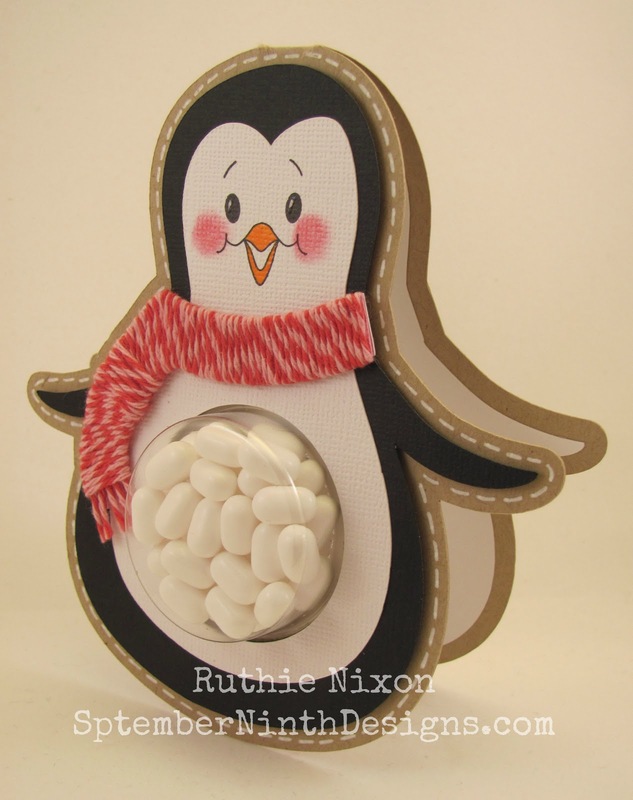 I found this cute penguin svg on the Lettering Delights site. 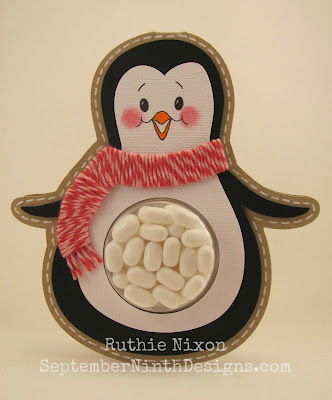 I thought he was the perfect shape for a "sweet treat cup" card. 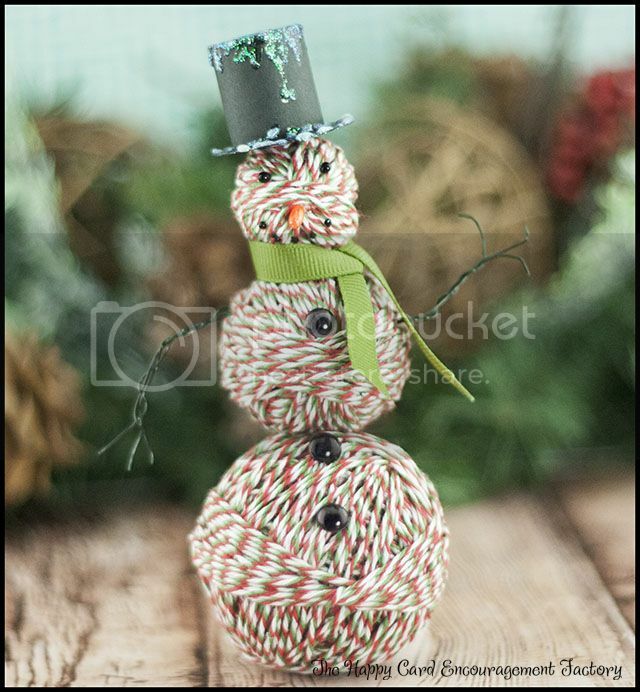 I also thought that the Valentine's Cherry Cupcake Trendy Twine would be perfect for his scarf. In the video below, I show you how I designed him and put him together. Here's a video tutorial showing how I made him. With the way I made ol' Jack's eyes, I might be talking about the horror movie, Jack Frost. Haha I should have tried to make him less demented looking. Maybe googly eyes would have softened his features. Oh my, just thinking about him with spinning eyes is cracking me up! 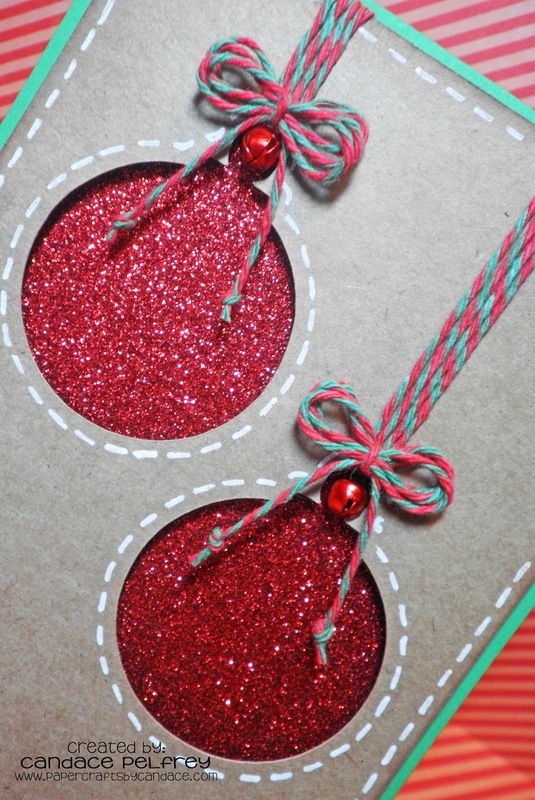 This month's Trendy Twine spotlight color is Candy Cane and Holly Berry. 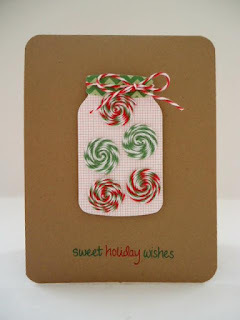 I choose to use the Candy Cane twine for Jack here because it has a bit of white in it. I just thought I would try something different with my twine. 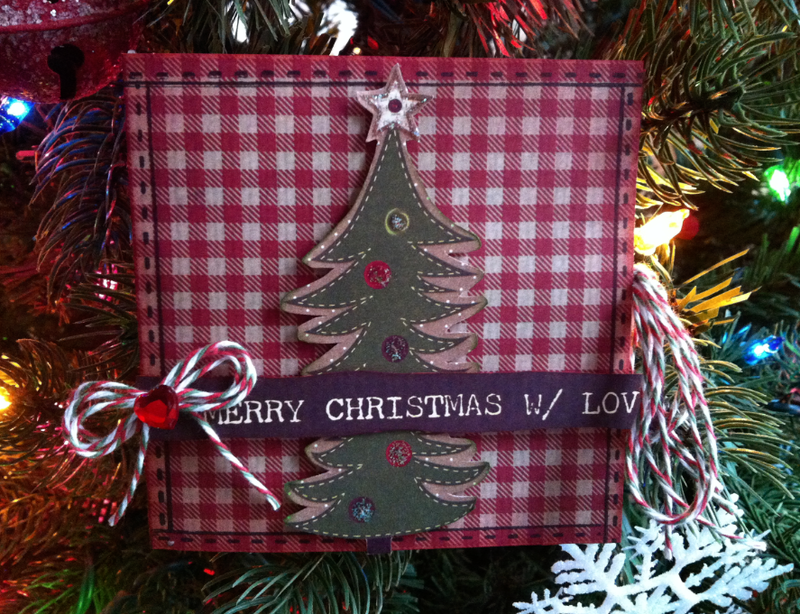 I like to use twine in totally new ways then just making a bow and putting it on a card. There is nothing wrong with that (probably going to do that with my Christmas cards), I just like to push the envelope on what twine can be used for. Not every idea works out. The project I was making before Jack here should be on Pinterest Fails...seriously. I drizzled his hat with glitter glue to simulate frost and snow. To make Jack was pretty simple. I just wrapped twine around three different sized Styrofoam balls. Stabbed some wire arms into the sides not forgetting to give him his buttons and facial features too. That's pretty much all there is to making this little guy. Speaking of little, he is less than 5" tall. He's my baby Jack. So, is he cute? Or is he on his way to star in his own horror movie? Let me know in the comments. 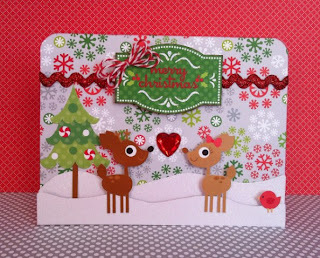 Also, I would love if you visited me at my blog for more twiney goodness - The Happy Card Encouragement Factory. Hi Everyone! 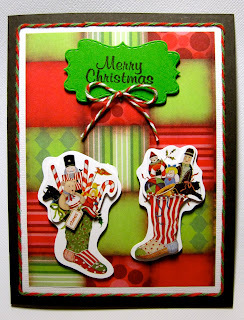 Candi here with you again from chaos-n-crafts.blogspot.com. Are you ready for Christmas yet? My girls are bouncing up and down counting the moments and their excitement is just contagious! For my personal project this month I decided to make an ornament. As you'll remember we're featuring TWO gorgeous colors of twine this month! 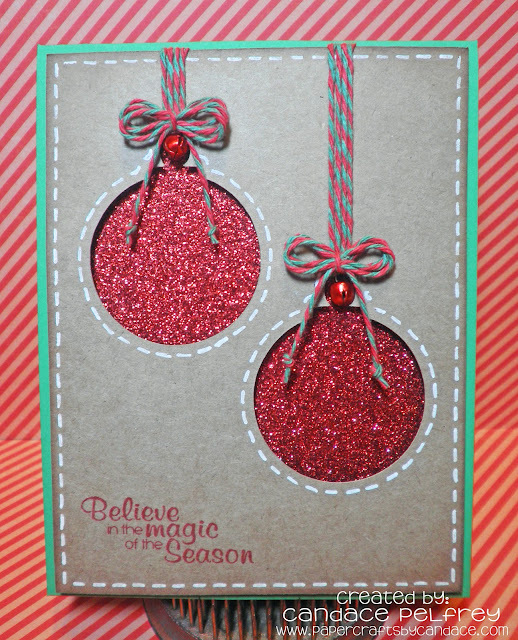 Candy Cane & Holly Berry (and both are on sale!) 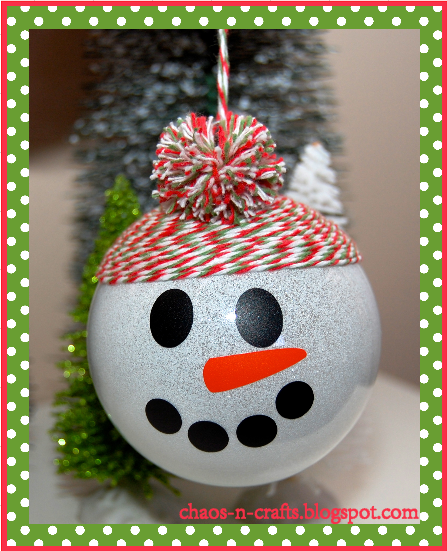 I used Candy Cane for my snowman ornaments hat. You can find more details on my BLOG if you're interested. 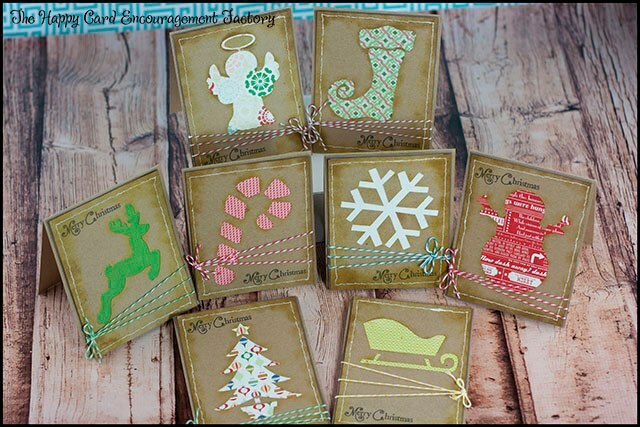 If you haven't linked up for our December Challenge you still have plenty of time! There are some adorable links, make sure to add yours too! Hope Everyone had a Great Weekend. I have a CAS card for you today. 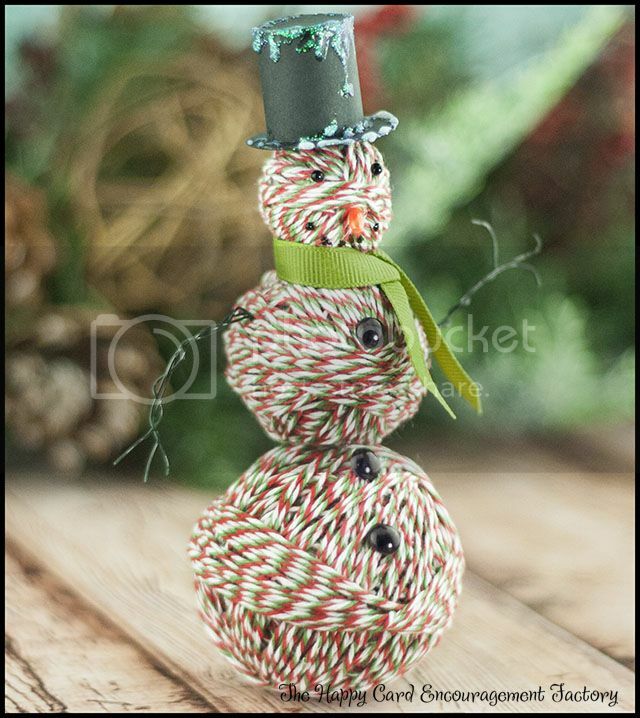 This month we are showcasing the Holly Berry Twine and Christmas Candy Cane Twine. They are also both on Sale so don't forget to grab em'. 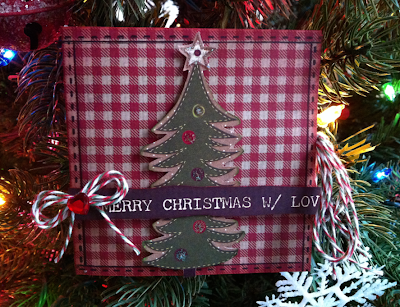 For my card today I used Trendy Twine's Holly Berry. The paper is from Recollections that I got at Michael's and it is so pretty. 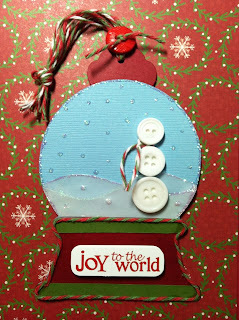 My stamped image is from Jaded Blossom's Christmas Wishes. Don't forget to join our Monthly Challenge we still have tons of time. I have a fun Sunday post for you today! 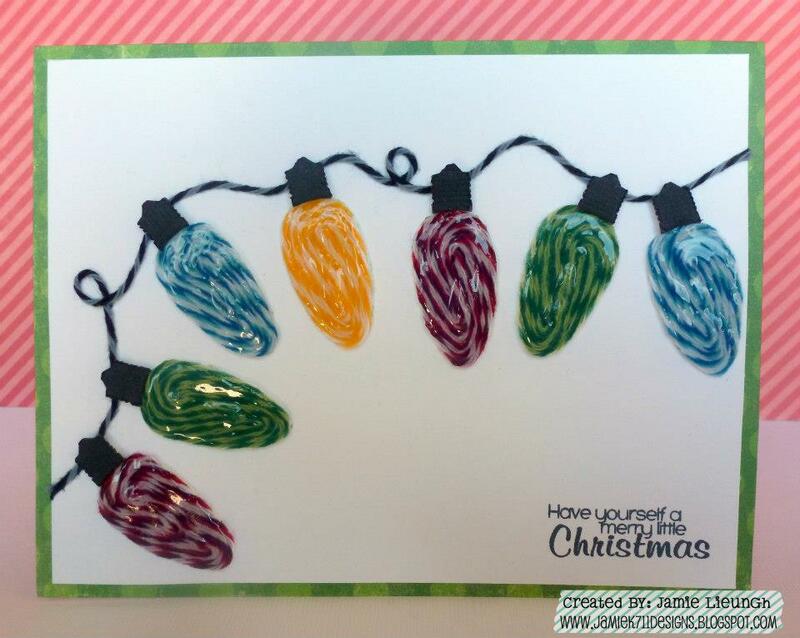 I recently decided to play with the adorable Christmas Candy Cane twine to create some fun bulbs for the tree! But once I had them finished, I realized that I had an even better use for them! Each of these great light covers (I have no idea what to call them - can anyone think of anything better than "light cover"???) 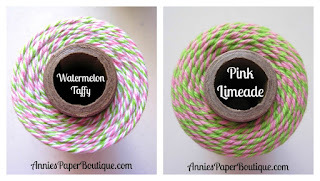 was simply created by dipping the twine into a fabric stiffener, and then wrapping them around a small balloon. 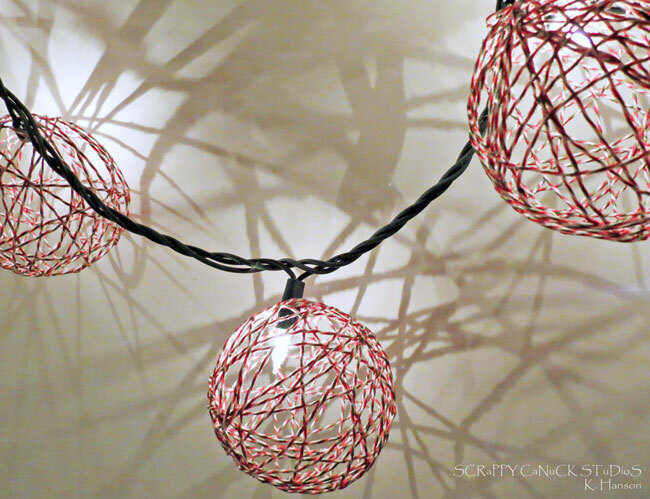 Once they were dry, I pulled out the balloon and simply slipped the light strand into the spaces between the twine. I actually added a few beads to the bulbs as well for a little bit of sparkle. I think my favorite part are the shadows that are created on the wall. The fun thing about this project is that you could really use it in different ways! 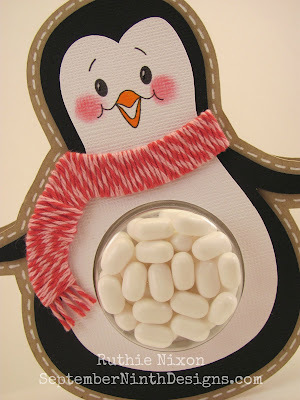 Fill up a clear bowl with a handful of these for an awesome centerpiece. Add a hook to the top and you have an awesome ornament. 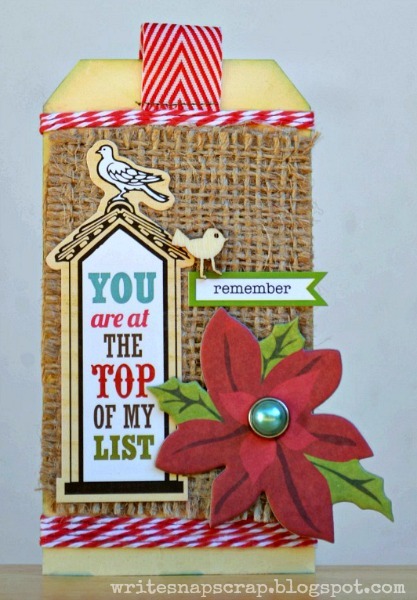 Put a bit of mistletoe at the top of one, and you have a great home decor item! So, go pick up some of this great twine - it's on sale this month so don't miss out!!! 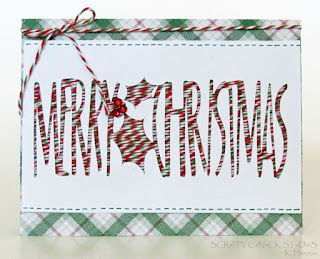 And don't forget to stop by my blog for a few extra details! Hi Everyone! Happy Friday! 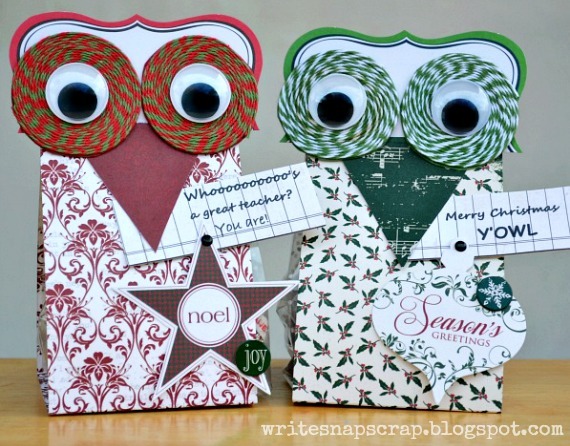 Candace from Paper Crafts by Candace here and I am excited for today because I am a guest designer for Trendy Twine! Yay! Best twine ever!! 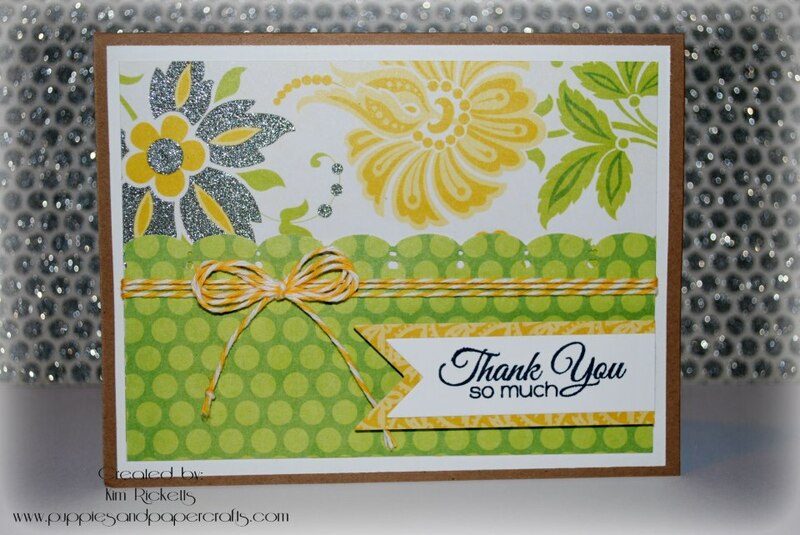 I wanted to say thanks to Leslie and the entire Trendy Twine design team for having me as their guest designer today! It's Kerri with Craft Time and Cupcakes back with another great Trendy Twine project. 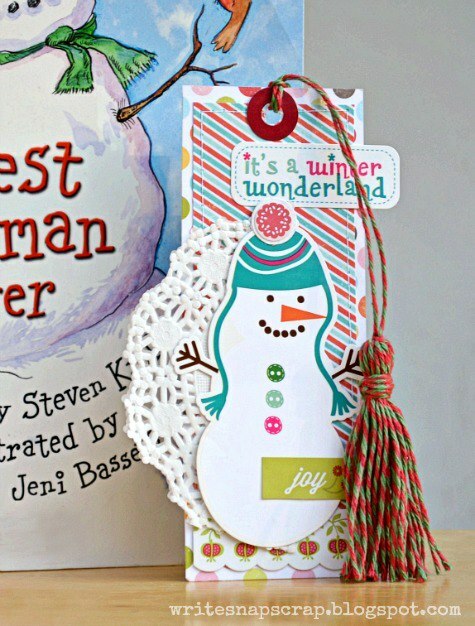 I had so much fun making the Thanksgiving book that I wanted to try another for Christmas using Candy Cane twine! My project has the Candy Cane Twine on it. This is a small clipboard that I covered with DCVW paper. Then I carefully glued the Twine all around the edges of the board. I didn't like the top metal part, so I decided to make some candy buttons. But the dimension pop dots I had were too big. So I cut one in half and then shaped it back into a circle--perfect!! And then I finished it all off with a fun twine bow. I would love it if you joined in our challenge this month!! We really do love to see what everyone creates, you probably need some tags ;), and you have a chance to win an awesome prize! Hello Trendy gals! 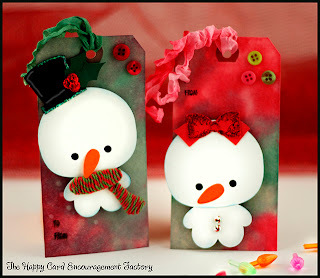 Yvonne here with another Christmas tag to share with all of you! 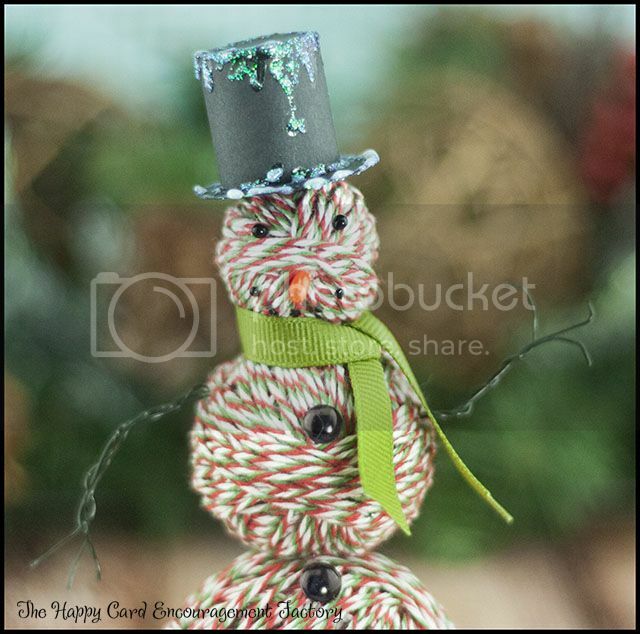 This month we have Candy Cane and Holly Berry Twine on sale so I decided to use both of them on my project. 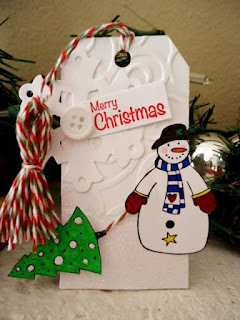 For all the details on my tag please visit my blog, here. 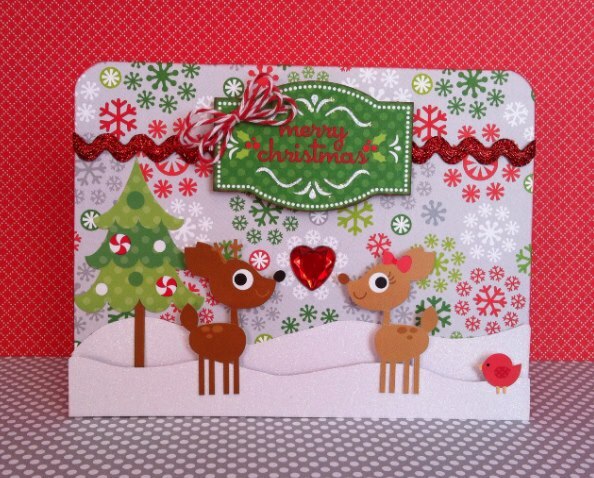 Its always fun to see what the design team has created and this month they have outdone themselves! 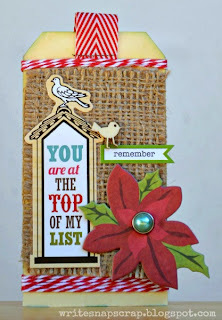 I hope you are inspired to create a tag of your own and enter it into our monthly challenge, find the details here. Thank you for stopping by and We hope you have a great day! For my project, I have a double page 12x12 layout to share. 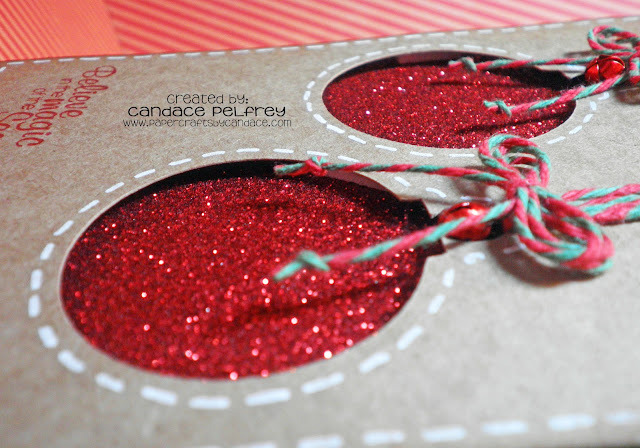 The train, some of the gifts, the tag and the photo mat gifts were all accented with Candy Cane Trendy Twine. 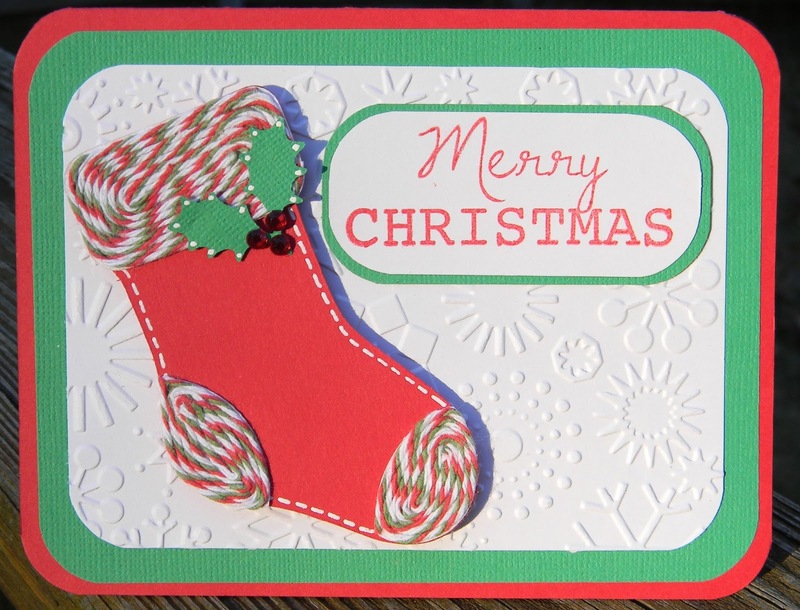 The candy cane banner, some of the gifts and the button were embellished with Holly Berry both of which are on sale this month. The train was joined together with some Black Licorice. Berry Red was also used on the presents. 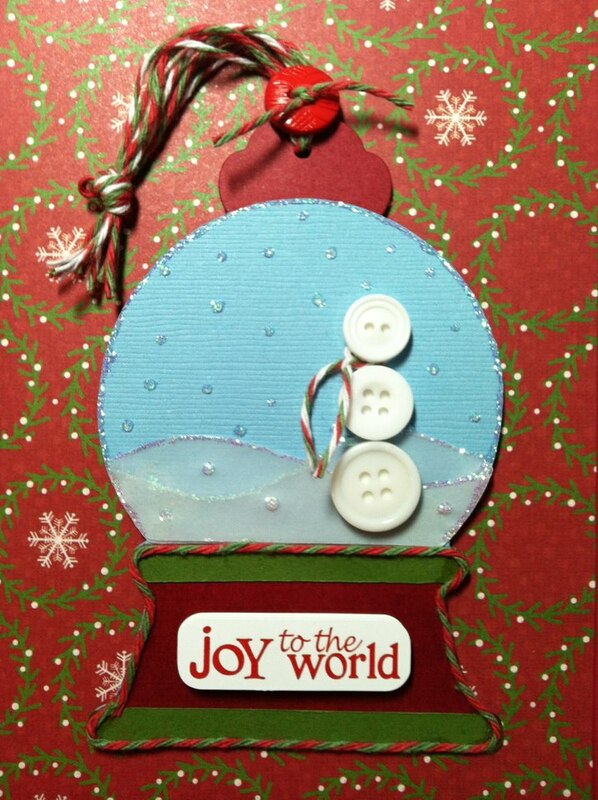 These colors were all perfect for this Christmas layout. of you who linked up with us for November's Challenge. 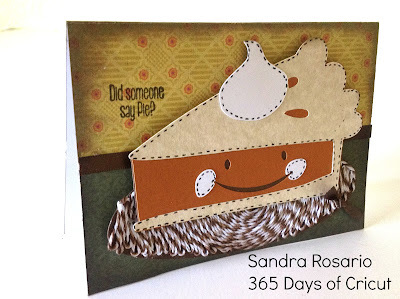 is Sandra with 365 Days of Cricut. to claim your $10 Gift Code. Join in this month's challenge. to win a spool of your choice. as our guest designer today. using the Lemon Tart twine. Makes me think of Spring with all the beautiful colors. The green and yellow are such a happy mix. And I love the Jaded Blossom flag dies with the sentiment. Stop by Kim's blog for more details and more pictures. While you are there, leave her some love. Thank you, Kim. We appreciate your spending some time with us. Join our Twine It Up! group for twine inspiration. Hello, Trendy Twiners! It's Jessi from Kissin' Krafts. 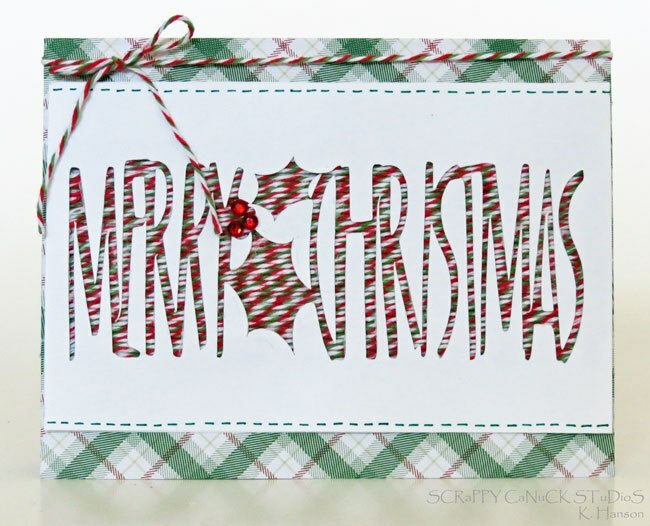 Hope you are enjoying this holiday season! Are you done shopping yet? 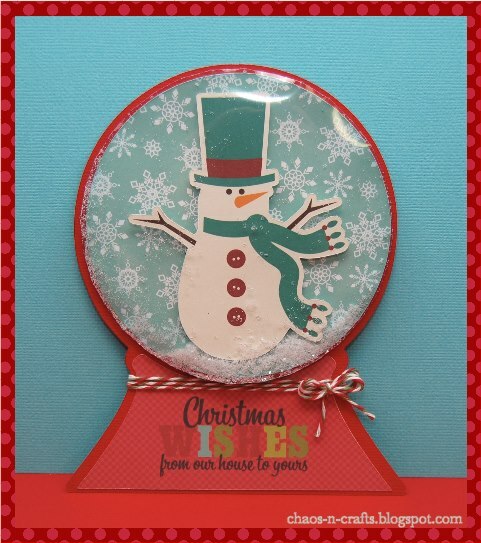 Are you giving any gift cards to the ones you love? If so, why not present the gift card in a fun, creative way? I am so excited to share this Trendy Twine project with you today! I have fallen in love with the altered Altoid tins that I have been seeing on Pinterest and had to give it a try! Especially when I saw that a gift card fits perfectly inside! I am addicted and so happy that my Dad loves Altoids (means I have several empty tins laying around)! I will be creating more tins soon! Have you seen Trendy Twine's December Challenge? If not, check it out HERE! Don't forget that Trendy Twine's holiday twine is on sale for this month. 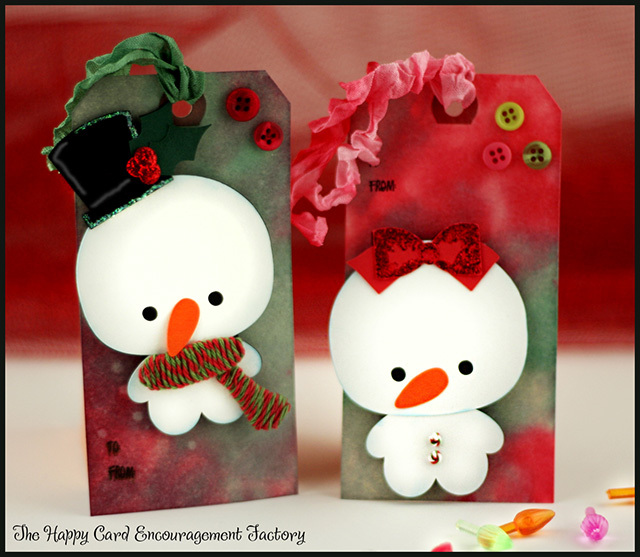 Check out Candy Cane HERE and Holly Berry HERE! The challenge is Tags! Show Us Your Favorite Holiday Tag. presenting their awesome projects for this month's challenge? All of the Christmas tags are so fun and festive.